The article states that "Sklarosky, 42, of Mountain Top, has worked as a part-time assistant public defender and also has his own private practice." 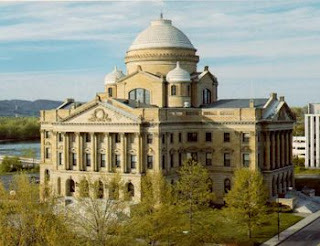 The article additionally notes that 'Pierantoni, 53, of Dupont, has served for the past 20 years as a magisterial district judge in Pittston, while Gelb, 50, and Rogers, 44, have primarily worked as civil litigators, focusing on complex cases." 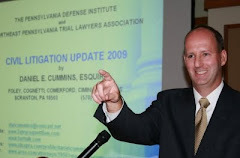 It is also noted that, in a stunning upset, incumbent District Attorney Jackie Carroll Musto, who had over 20 years experience as a prosecutor, apparently became another victim of the Luzerne County judicial scandal. Stephanie Salavantis, who is only two years out of law school and who has never prosecuted a criminal case, prevailed in the election for District Attorney.